Mt. Healthy students from Jr/Sr High School and North Elementary participated in the annual Robotics Competition sponsored by Cincinnati Chapter of National Technical Association, Office of Inclusive Excellence and Community Engagement College of Engineering Applied Science, University of Cincinnati, Ethicon, M2SE, Messer Construction, Kroger, RoSho Awards, and the City of Cincinnati. 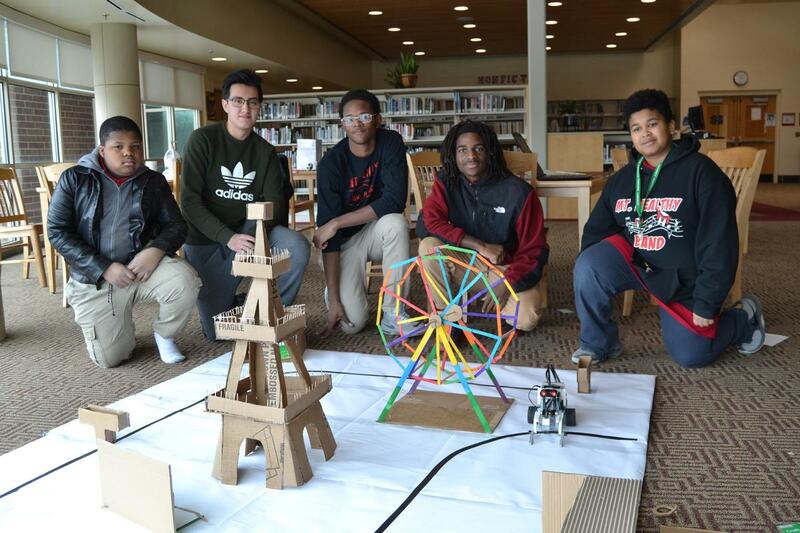 The “Where in the Neighborhood is Mr. Dunn?” Competition tests students’ creativity, design skills, research skills, persistence, and determination. 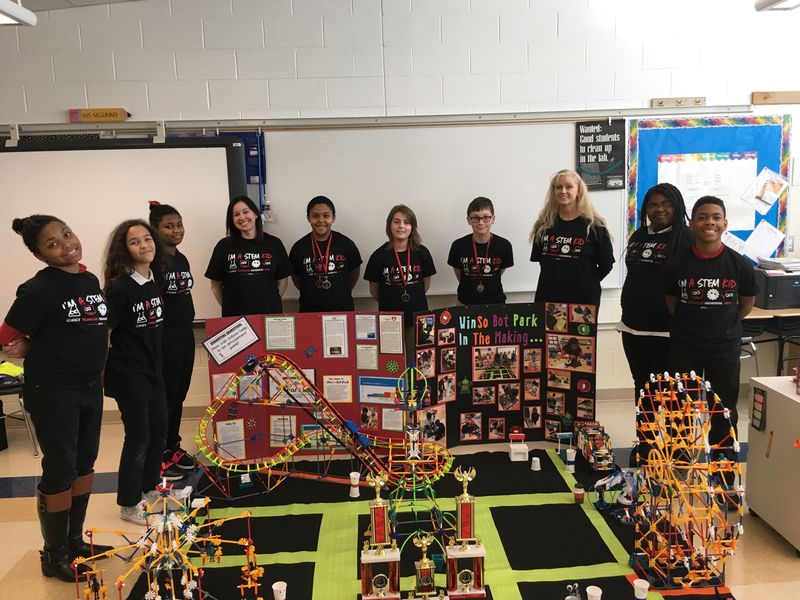 Students were tasked with researching the use of robots in amusement parks, then designing, developing, and building a working amusement park using a robot to complete jobs. The teams had to identify specific parts and locations within their parks as well as adhere to all safety regulations that parks have to follow. The teams were provided with websites to use for research, a Lego EV3 kit (robot), and contact information for civil, robotics, architectural, construction, environmental educators and professionals to better understand the earth science, environmental, construction, and safety aspects for building an amusement park in today’s world. 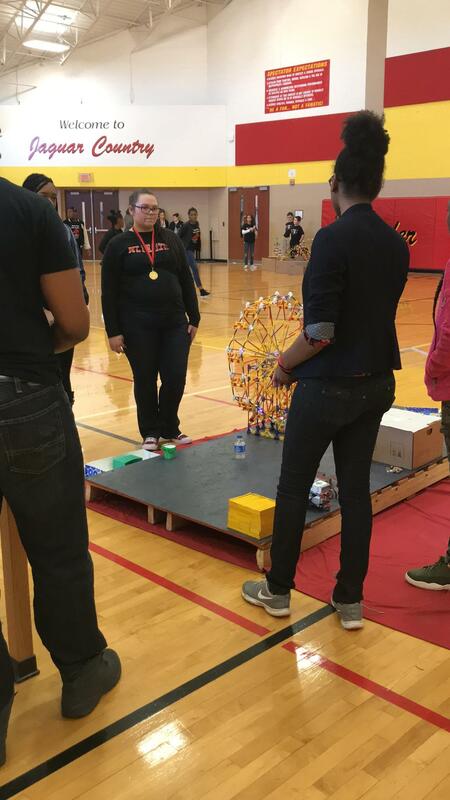 The three high school teams, led by Veronica Dean, consisted of junior high and high school students, and North Elementary, led by Robin McGinnis, had a team for the middle school competition. The high school team, “Blank”, includes Gilbert Hernandez, Don’Yeaz Lackey, Nigel McKinney, Logan Person, Te’yion Roberson, Tommy Roth, and Lee Young. Another high school team, “Microchips”, consists of Kennedy Jones, Jada Kirk, Kylie Pound, David Phillips, Jaden Rucker, Dashuana Thomas, and Avrie Woods. The third high school team, “Bot Shots” is comprised of Megan Gray, Emma Korman, King Rickey Fields Crawford, Kenneth Jones, Anna Phillips, Shantashia Devant, and D’myko Tye. The North Elementary team, “McNerds 2.0” includes Tami Cox, Daniel Gray, Ivy Monday, Andrew Day, Nick Cruse, Hyleah Phillips, Hadassah Phillips, Sarai Waller, and Shabbae Jones. Students in Mt. 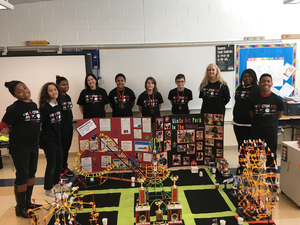 Healthy City Schools participate in Minorities in Math, Science, and Engineering (M2SE), which was created in 1989 to address predictions by the National Science Foundation regarding the national shortage of engineers. The mission is to significantly increase the number of students, particularly young women and minorities, who are motivated, prepared for, and enter Science, Technology, Engineering, and Mathematics career fields.